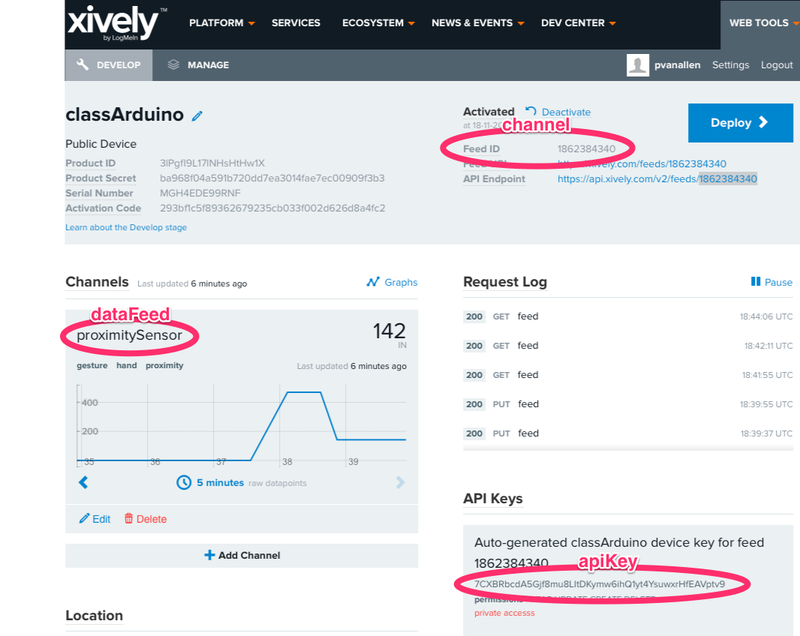 The CloudOut and CloudIn widgets send and receive data from open IoT (Internet of Things) cloud services including Xively (formerly COSM and Pachube), Open.Sen.se, and ThingSpeak. These services allow for devices, software, or people to post and receive feeds from anywhere in the world. For example, a gesture sensor in Pasadena could send its values to the cloud, and video displays in London and Beijing can access the latest value of that sensor, and play different scenes based on the Pasadena sensor value. The key thing about these services is that feeds can be posted and retrieved from anywhere, without the need to have a direct connection between the sender and receiver. The IoT cloud service handles the asynchronous reception, storage, and delivery of the feeds. channel – The descriptive name of the device, environment, or software that generates a set of DataFeeds. E.g. “arduino”. sampleRate – This is how often you will send or receive data from a dataFeed in seconds. The widgets support three similar services. Xively – The original service (formerly COSM, Pachube), many features but a little complex. API Key – In order to securely communicate with the cloud service and keep your data private, the services require that you register with them and obtain an API key that’s used in the communications with the service – like a password. Without an API Key, you won’t be able to send or get data feeds. Some services have a single key for all your feeds, while others allow multiple keys with different abilities. 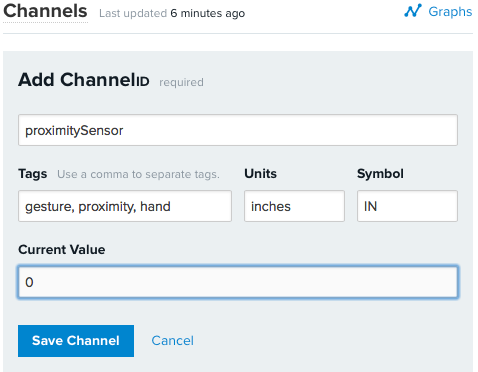 Channels – The top level of data organization represents an environment, device, or software, which we’re calling a channel. Data Feeds – Within each channel, there are individual data feeds that represent a specific sensor, software input, or human input. These are often numeric representations, like a value from 0-1023 to indicate the position of a knob. But they may also be textual, and perhaps in the future, images. Data Rate Limit – Since these cloud services support thousands of users all over the world, and their services are accessed through the Internet, they limit how often you can send or receive values for a data feed. For more things you can do with Xively, check out this page that explains how to trigger a tweet or SMS message with the values of your feeds using the Zapier.com service. To help those of you who want to write your own applications outside of the NETLab Toolkit, using the APIs for these services, below are snippets of AS3 code from the CloudIn and CloudOut widgets. While the documentation from these cloud services is pretty good, it took a fair amount of time to research and test the different APIs and use them in a consistent way. These code examples should give you a good baseline no matter what language you will be developing in. The key thing in using the APIs for all the services is that you must correctly set up the HTTP headers and data for a POST.